While looking for ideas for a flower pot arrangement for one corner of the garden I came across these ideas for dressing up plain flower pots using an assortment of branches or twigs. If you still have some late pruning to be done, or have a pile of branches lying on the compost heap, here’s a great way to put them to good use. I was looking for something different for an arrangement of pots outside the front door and just loved these ideas for wrapping plain flower pots and containers with assorted materials. 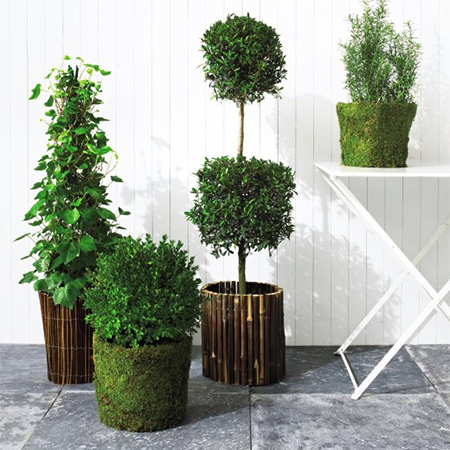 Small twigs, thin bamboo and moss add fun texture to your boring garden pots. 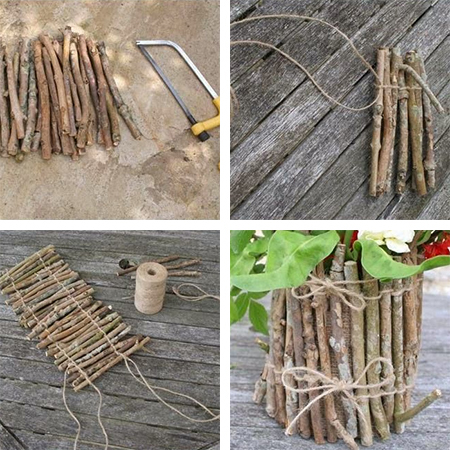 Making a twig wrapping for your flower pots is easy and all you need is some string or twine. Interlace the string or twine around the branches and slip over your plant pots. Add interest to plain indoor plastic pots by cutting thin and thick branches into sections. 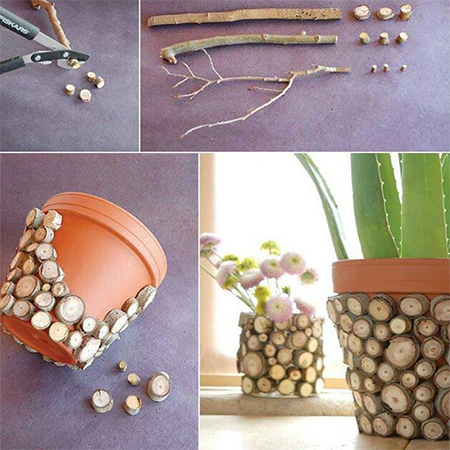 Use a hot glue gun to stick the circular pieces onto your flower pots. 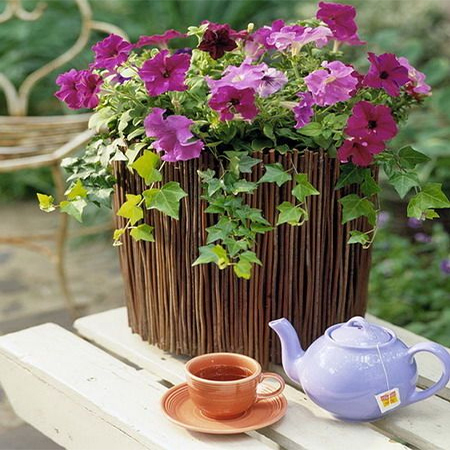 Dress up a potted annual with thin twigs glued onto the outside of the pot. I also like the idea of trying this with pine skewers stained a dark colour with Woodoc gel stain.